Akoya Pearl is Chantecaille's newest Poudre de Perle ($58) shade. Created exclusively for Christopher Kane's Spring/Summer 2012 runway models, Poudre de Perle in Akoya Pearl is a bright rose-pink color that creates a fresh, windswept flush on any complexion. The rosy pink shade looks cheerful. Prior shades of Poudre de Perle have delivered an innovative all-over highlighting formula. Akoya Pearl is a blush - an exquisite brush. Like its sisters, it arrives with its own brush (unless you buy just the refill) and delivers the perfect amount of luminosity to all skin tones. The smart formula replaces traditional talc particles with weightless, silky, and translucent optics that ensure skin clarity and luminosity. Particles of zinc, iron, and mica provide mineral content to calm our sensitive skin and fortify it from environmental elements. If you'd like to see my original feature on Akouya Pearl, with swatch photos, click here. It adds radiant pink color to my cheeks and makes me look happy and perky. It doesn't get better than that. That's why I decided to purchase one for a giveaway contest. That looks like just the perfect pink! Wedding blush perhaps? This makes me want to visit their counter for some day-of products! So pretty:) Thank you for the giveaway! Dear Charlestongirl, I would love to win as I've never had the pleasure to try Chantecaille yet, also the shade of this blush is truly amazing!! What a happy shade! Looks like just the right thing to help wake up a sleepy face. I am an email subscriber-address sent separately. Thank you for the opportunity. I'd love to try it! cetati at gmail dot com. I'm a Google Reader subscriber. Thanks for the giveaway, this looks gorgeous! That is just beautiful! What a lovely rose shade! yay! I've always wanted to try one of these, maybe I'll be lucky. :) Otherwise gotta buy one in the future. evangelia at aol dot com. i follow by email subscription. such a sweet shade, I always wanted one of these, thanks!! oh, how lovely, thank you!! Wow, a brush with a good built-in brush! I really want to try it! OH this looks amazing! I loved it since you posted the review awhile back.. It looks like fun to use, and the color is so flattering. Love it! 4. I like you on FB. Because of you and your wonderful reviews of Chantecaille products, I've become a huge Chantecaille fan. If I had the funds, I would take 3 of everything. I look forward to every season's new collection and it seems that their products seem to get more beautiful, if that's possible. I am especially looking forward to the fall 2012 palette and blush. I am a HUGE supporter of saving animals particularly the Big Cats, elephants, Orangutans, etc. and although Chantecaille gives I believe 5% of the proceeds of their products to organizations that support the preservation of wildlife, I think it's wonderful that they are concerned and active in this arena. 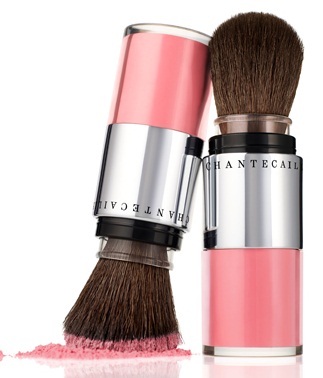 I love this blush and leave it to Chantecaille to have a blush already inside a blush brush with a cover, so it can easily be thrown into your handbag for touch ups when needed without ever creating a mess. The color is gorgeous and I've loved this blush when I first laid eyes on it. This is a fabulous giveaway, just as all your contests are but this one really is very special. Thank you again for always thinking of your many fans, loving us as much as we all love you. I follow you via email, kleimanlaw at aol dot com, GFC, Diane Kleiman, and twitter, @DianeLori. I'm following your posts through email (zelle.vs at gmail dot com). Awesome pink tone, and subtle I saw the photos. Thanks for this great opportunity! This is a gorgeous color. This looks lovely! Thanks for the chance to win. I've been looking for a new blush! The ones that are creamy enough in powder form always crumble into a million pieces before I even hit pan, this sounds like a perfect solution! one greatsmile at outlookdot com. also, I follow you via email (at another address, though). Nice giveaway , thank you !Looks amazing ! Wow! What a great giveaway, would love to win, always wanted to try one of these, but there's always so many other things to buy. Thank you! I follow you via GFC as Annie! That blush looks gorgeous! Wow, thanks so much! This is a great giveaway! What a beautiful giveaway! I really hope I win. Looks like an interesting product! I'd love to try it. Another lovely giveaway, thanks CG! I follow by email, Twitter, etc. I subscribe via NetNewsWire on my Mac from Sydney. Hi and thank you for a beautiful give away. I never tried Chantecaille, I saw it at Nordstrom and is nice to see it at a counter rather than just on line. Very very nice pink shade. Mhm, will it be me who wins? Thanks for this opportunity! Alica - alica at cleis dot net. It looks gorgeous! Sign me up! I look for your blog everyday. I purchase almost everything you recommend. You are so generous to your followers. I would love to win this beautiful Chanticalle gift. I follow you through email. Thank you so much for giving me something to look forward to everyday since life has been very challenging for me the last 6 months. been wanting to try that color.. I follow via GFC PerilouslyPale and by email (my personal email though). Oh wow, I am dying to try this powder. It is beautiful!! I love the pinkness of this blush. I have to stay out of the sun (melanoma survivor) so, needless to say, my complexion is always pale, pasty, and dull, even in summer; we won't even talk bout how bad it is in winter. I'd love this pretty rosy pink to brighten my look up Thank you, CG. 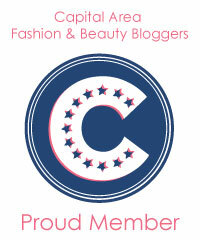 I also follow the blog on GFC and Bloglovin' as Sherry Brooks. I follow on twitter and by email too! Yay Chantecaille! I've actually been itching for some new makeup from their brand. 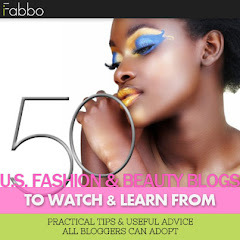 Congratulations on being named to ifabbo's 50 Beauty & Fashion Blogs to Watch & Learn From! (Wow, that is a long title.) You've exposed me to luxury products like none other. I'm glad you're getting more exposure. Thank you as well for this giveaway opportunity. I checked the review and I'm relieved to read Chantecaille's brush is superior to the rough brushes typical of this style of applicator. I also follow via Twitter and tweeted. I'll email you my info. The colour is gorgeous! Wish we had Chantecaille in Montreal. I love the color. What a great gift. So lovely! I've wanted to try Chantecaille for ages now. I was just about to purchase this on Birchbox, now I'm hoping to win one instead! This is a great giveaway. Thanks for doing it! No one sells this brand in the area where I live so I'd be excited to try it. Wow, It looks like a perfect pink to me.. I really want to try it! I would love this! Thanks so much for your generous giveaways. I enjoy your blog so much - I have to read it daily! im obsessed with pink blushes! Gorgeous!!! Hubba hubba! this blush looks so luxurious! subscribed to your newsletters n follow on twitter. I am dying to try this! I follow via email and retweeted (chickygal99). The color reminds me of a fresh tea rose. So lovely. My fingers are croseed! I need this blush in my life and on my cheeks! This is beautiful, I'd love to win! Thank you for offering this beautiful gift, I would love to try this product out for such a lovely pink! Thx for a most fabulous giveaway!! !